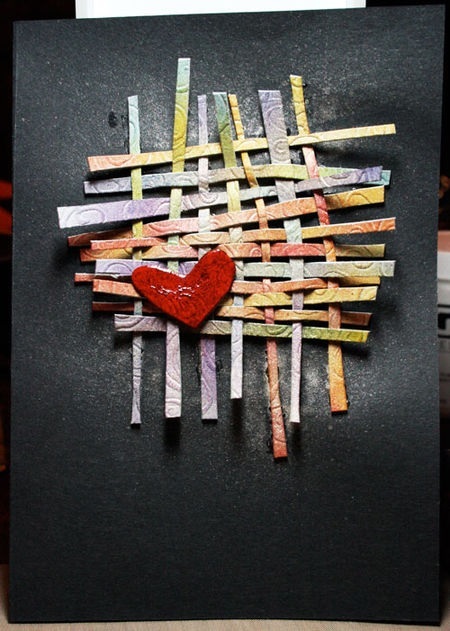 Do you like to weave? I find it enjoyable if it is just in and out type of weaving. If you start a pattern where I really have to concentrate then I can get lost. It’s that left brain fighting the right brain sort of thing. 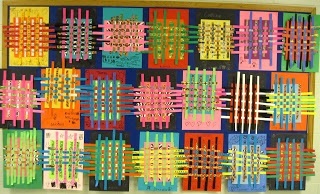 I found some wonderful examples of paper weaving. I am starting out with There’s a Dragon in My Artroom. 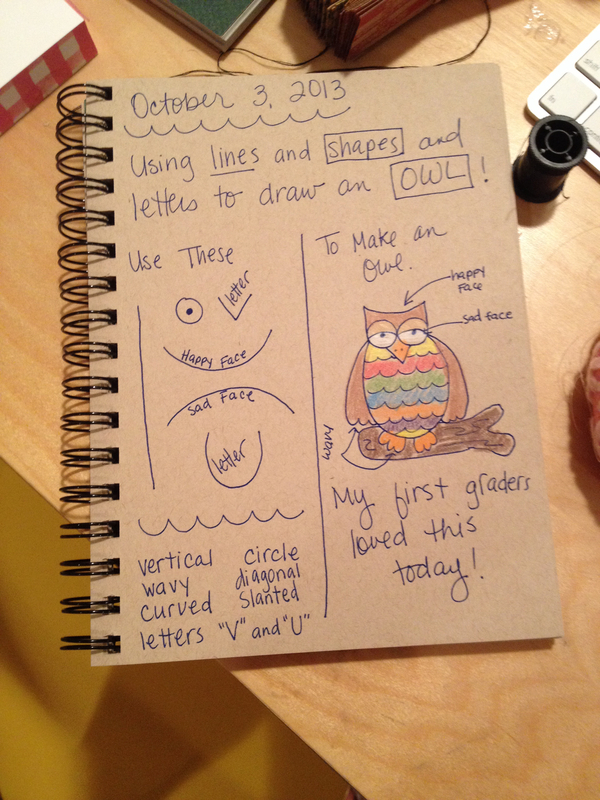 Phyl is an art teacher and she explains the basics very well on her blog. Here is another example from Atostraddle. 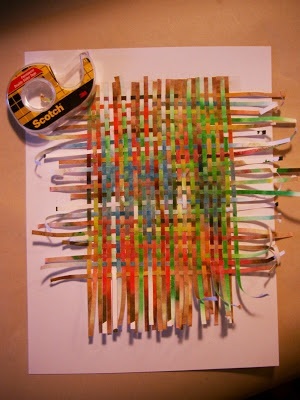 Their weaving is in a pattern using pages from books. 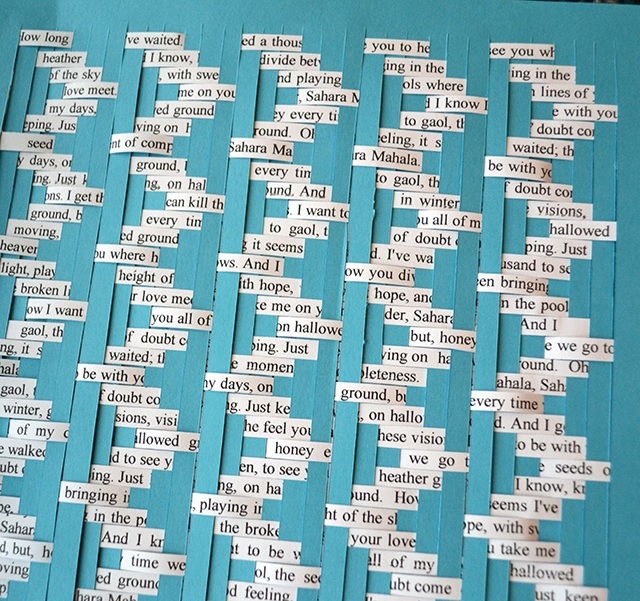 I like how Can’t Stop Making Things made their paper for their weaving. And from Blazer Designs I enjoy the heart embellishment. 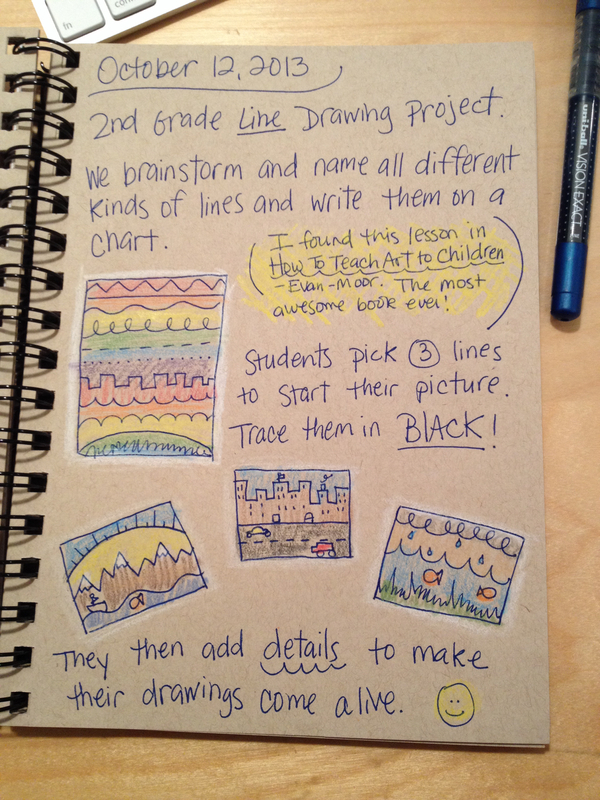 This is a great idea for keep track of art ideas either for students or just some things you may want to try on your own. It gives you a source to come back to and samples of the ideas. Once you have tried the idea you can keep notes on what worked or what you might do different next time. 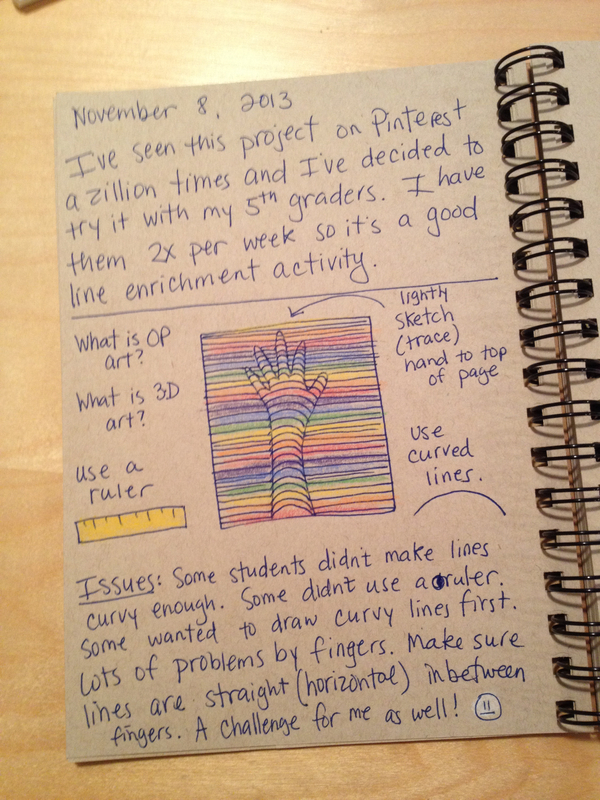 I wish I could credit the person who did these art journal pages, but I can not find the source. Sorry I have not posted anything for a while. My sisters and I have been working on finding assisted living for our parents. My dad got sick in June and now needs to use a wheelchair to move around. We tried making their home of 57 years work, but he needs more help than what can be provided at home. So we found a nice assisted living apartment…but three days after mom and dad moved in, dad came down with pneumonia. So he is in the nursing home trying to build his strength back up and mom is in the assisted living home by herself. We emptied the house of their belongs and have it ready to sell so they can pay for all of this, which is very expensive. This is all so hard and not planned for very well. Both parents are in their 90’s and thought they would just live their days out in their home. And we blindly went along with it. I have empathy for anyone going through this with their family. But I am home now (I live 200 miles from my parents home) at least for a little while and trying to get life back on track. More art post to follow.